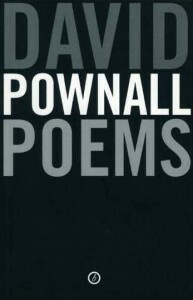 Poetry has always played its part in David Pownall's life as an author. During his distinguished career as a playwright and novelist, two collections of verse have been published, plus contributions to literary magazines and anthologies. Poems is his selection of the best from new and previously published work.